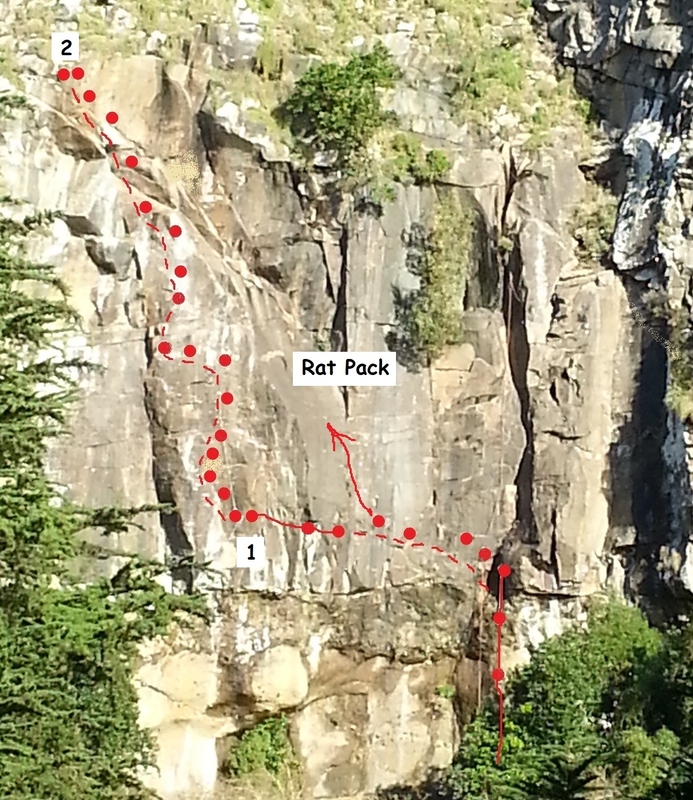 Up the via ferrata then traverse leftwards along the start of Rat Pack. Reach around to the chain and follow it to the MOAB belay and ledge at the bottom of a corner. Up this for some technical wall climbing which leads rightwards into a waterworn groove. At the top of the groove traverse left across the wall on incuts to the far side. Now steeply up the line to the very top of the wall. Some sensational climbing.